Defend your honor by challenging your foe to a civilized duel or join the honored few entrusted with the role of royal guard. 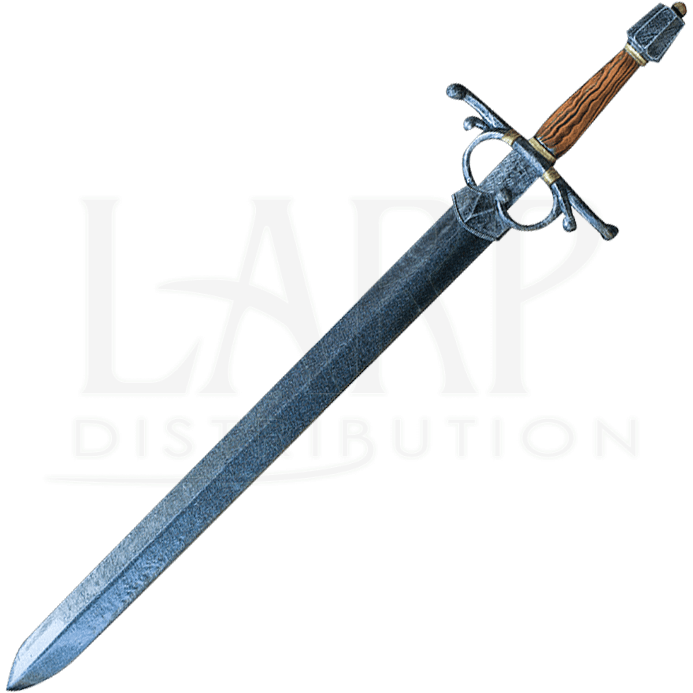 No matter the character you choose, the LARP Noble Warrior Sword handles well on the LARP battlefield. This latex-hybrid sword takes inspiration from the rapiers of the Renaissance. 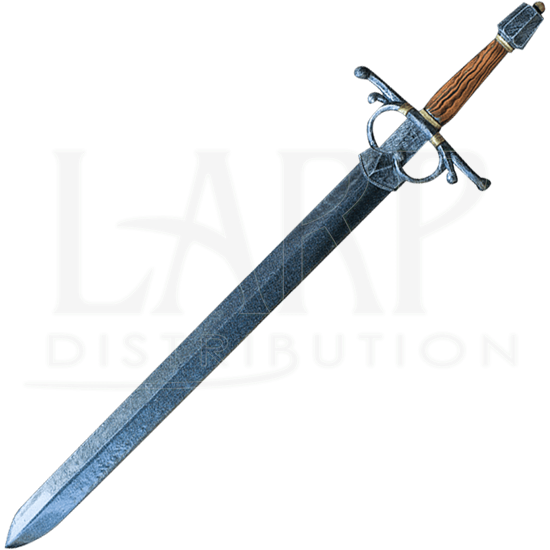 The double-edged blade is crafted from closed cell foam around a solid fiberglass core and finished with a strong latex coating, while the handle is cast from polyurethane. Ornate quillons extend from the cruciform hilt. A ribbed pommel with golden accents appears at the end. A hand painted wood finish and golden embellishments lend to its noble air. 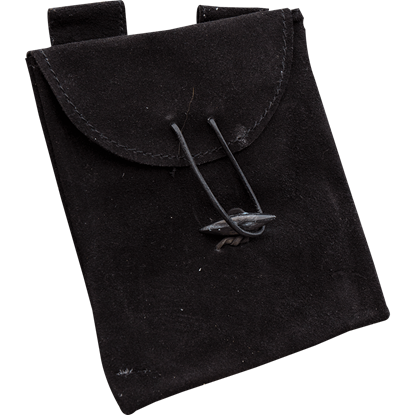 The Large Ingolf Belt Bag makes it easy to keep your items safe during medieval reenactment and LARP events. 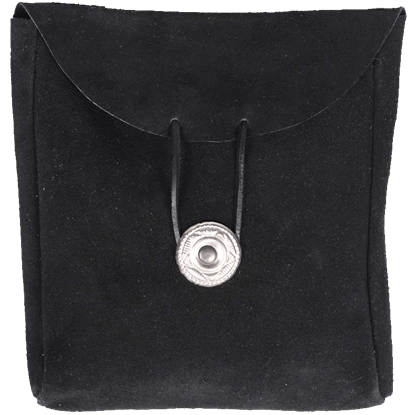 Made out of a soft suede, this square bag is worn on the belt and is particularly fit for characters of nobility. 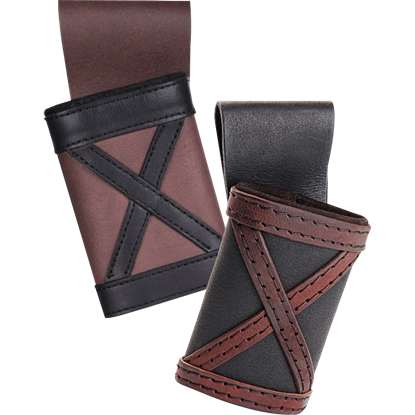 These Ready For Battle Steel Arm Bracers are crafted from 18 gauge steel. 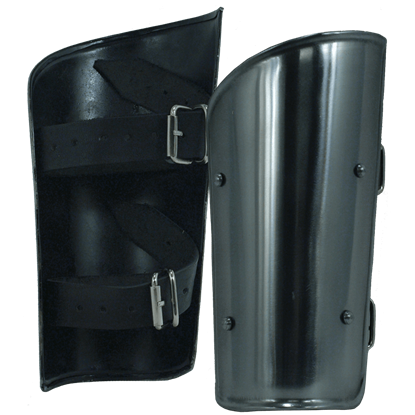 While the picture looks slightly dark, please note that they have a bright shiny steel finish. 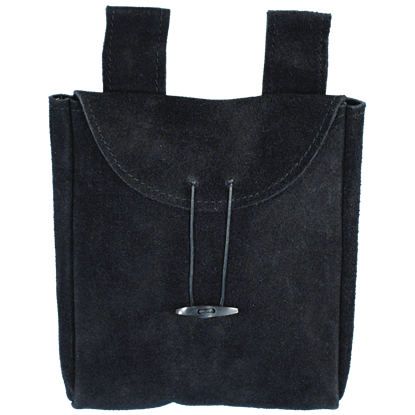 With their simple design, these come at a very affordable price.